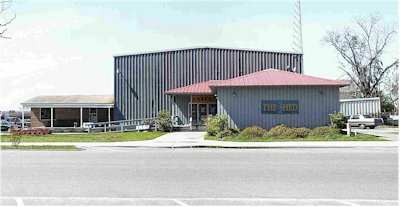 For Sale of Property, see link at bottom of page for Henry Chambers and Beaufort Realty. Click on small photos below for larger image. 1st Floor - Shed & Educ Bldg. Education Bldg. All Buildings: approximately 12,232 sq. 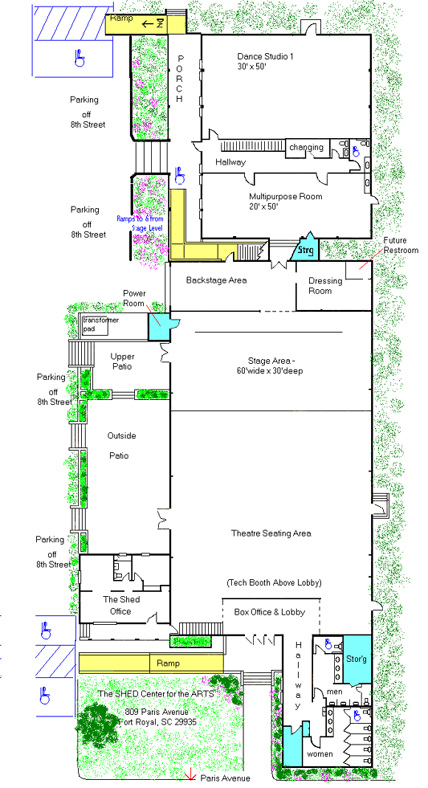 ft.
Theatre Building: approximately 9,000 square feet overall. Main seating area, some arrangement options include: cafe' seating (with small table/2 chairs), row seating, dinner theatre, art exhibits, auctions, conference settings, presentations, dance concerts, multi-media presentations, musical theatre-concerts, etc. Pre-wired for Fiber Optics (to Charter Communication). Access to Plaza areas, both levels. 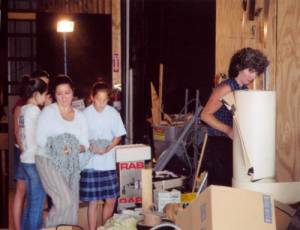 Beaufort High School Drama students & Ms. Anderson help clean out the backstage area. 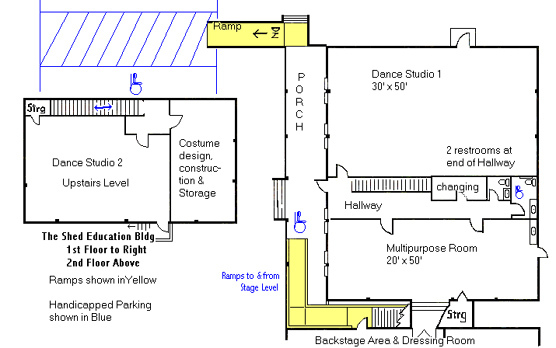 Backstage: workshop, set storage & construction, truck-loading dock area w/roll-up door access to truck ramp, dressing room. Access to Education Building and Handicap Access Ramp to rear parking area via porch in front of Educ. Bldg. Lobby & Front of the House: box office, concessions area & gallery areas; restrooms, storage closets and water fountains. Handicap Access Ramp to front Lobby and Main Seating/Exhibit level. Education Building: approximately 3,000 sq. ft. Storage shelves along left side of room are reflected in mirrors (on right). 2nd Floor: Classroom/Costume design, construction and storage, carpet, w/ washer & dryer hook-ups. Dance Studio 2 professional dance surface over wood floor, mirrors, built-in storage wall, storage closet. Access to exterior stairs to front porch of building.